Ron Pereira at the LSS Academy shared a great example of an inexpensive visual control using plastic cups. This has inspired me to share a kanban system employed in one of our factories that utilizes golf balls. As inventoried product is consumed by the customer a card signal is sent to a processing area to consume a buffer inventory to replace the finished goods product. Upon relieving this buffer inventory a kanban (golf ball) is sent to the upstream process to replenish this buffer. The golf ball is returned to the upstream process via a pipe in order of the customer demand and hence priority of replenishment is in FIFO (First-in, First-out) order. The golf balls can then be staged as shown above according to what product type is running on the process equipment or manufacturing cell. The golf balls are returned with the product to the down stream buffer inventory location via simple slide. 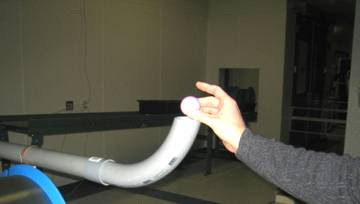 Ping pong balls and pvc pipe can also make other effective visual control systems like this one. This displays the total inventory of a system and downstream consumption for a given time period (one week). The inventory is capped by the number of balls and the length of pipe used. Inventory is easily reduced by removing the balls in the system. This simple and easy to understand visual was an effective way to get the entire factory involved the inventory management. You don’t need elegant computerized kanban solutions. Golf balls, ping pong balls, and some pipe can create quick efficient methods to manage your operations. These visual aides also allow everyone to “see” and interact with the system. Its an excellent example, cost effective and purposeful. If possible, you may provide more insight into this. By the way, is it possible to know who is the user company of this practice. This kanban example was published in AME Magazine. You can see more details here. 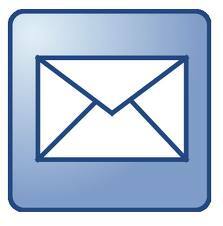 Is Your ERP System Working For You?